I flew earlier than my parents just to make sure that I will be able to pick them up at the airport when they arrive. I flew from Singapore and they did from the Philippines. I arrived at about 6am and their flight would arrive at 9pm. So, I had bountiful of time to walk around alone first. I got myself and my parents Octopus cards and I started my adventure as soon as I got out the airport. The most convenient and cheapest way to go to Mong Kok area from the airport was to take bus A21, which only cost $33, (cab is 250-300; airport express is 90 for one way). Travel time was about 40-50minutes to the city. 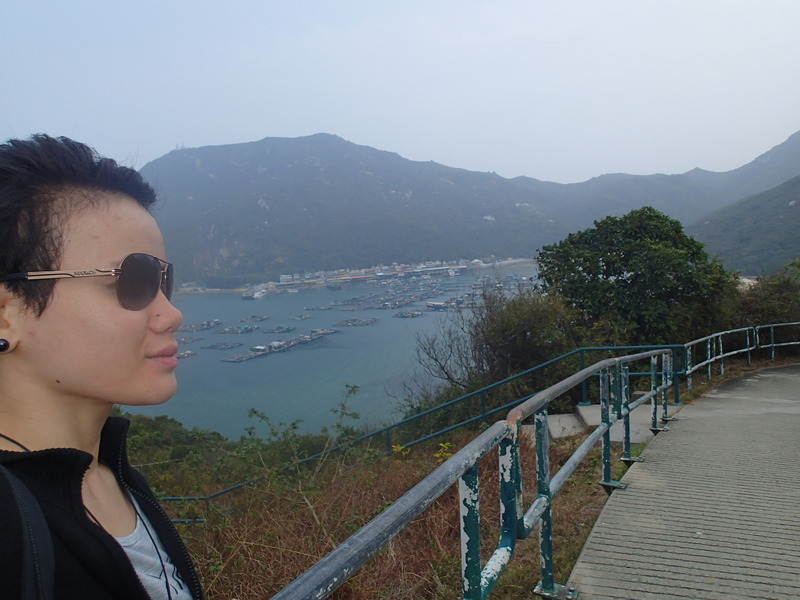 On my first day, I opted to go for a walking adventure at Lamma Island, the third largest Island in HK. Took a ferry from Pier 4 at Hongkong ferry terminal and off I went. In Lamma Island, I wanted to walk from Yung Shue Wan ferry terminal to Sok Kwu Wan terminal and take the ferry back to HK from there. Walking along the well-marked and almost perfectly cemented trails (except for some side trails going up the higher points which, like a magnet trying to attract me all the time) was made easy for the reason that, I passed by scenic views from the Wind power station, several beaches and a lot of picturesque vantage points. I didn’t even get tired of walking. There were very few people taking the same route as mine hence, most of the time, I was alone walking while just awaiting to be embraced by the occasional strong and cold wind. 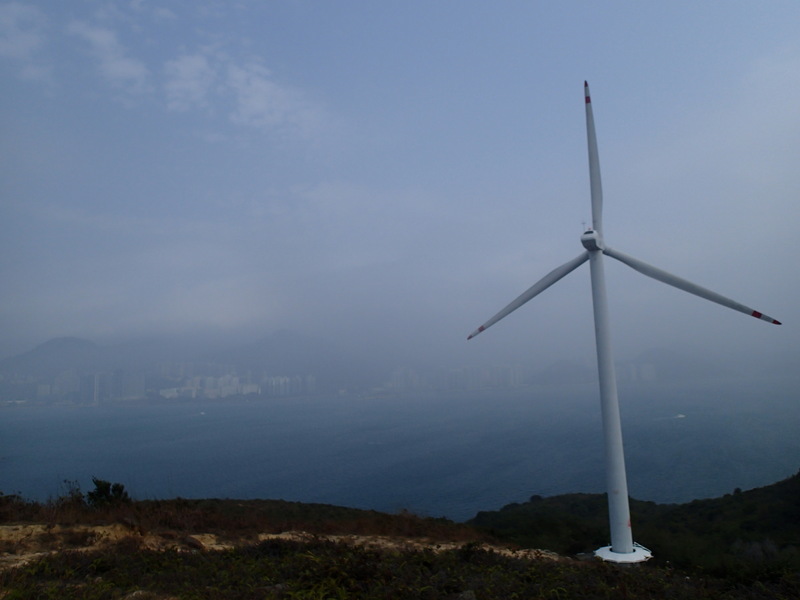 Atop the wind power station, there was a non-cemented trail on the left side that can be accessed to get a full view of the waters and HK island (there’s a pavilion on the right side). If I had not seen 4 people coming down from that trail, I wouldn’t know it existed or that it was even possible to go up there. Thankfully, I saw them because the view from up there was breath-taking. I continued on walking along nice beaches and trails with amazing views. I saw a few people trail-running and I was jealous because I thought, it was a great place to practice too. Anyway, when I reached Sok Kwu Wan, I immediately took the ferry parked because I had to check-in the hostel and pick my parents up from the airport. Thankfully also, they landed safely. The next day, I had them with me to go around the Lantau Island. This entry was posted in Uncategorized and tagged adventures, alone but not lonely, trails, travel, trek. Bookmark the permalink.